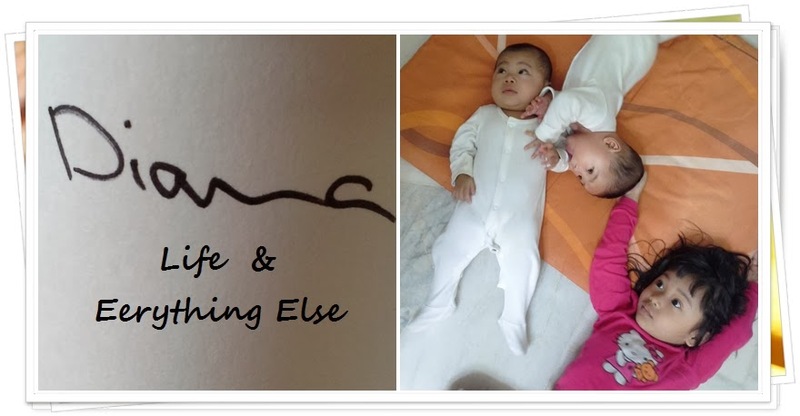 DIANA ABDUL MOLOK: LIFE 'N EVERYTHING ELSE: Mommy, look! I'm all grown up. Mommy, look! I'm all grown up. Mommy gets emotional when talking about her little one growing up. Seriously. 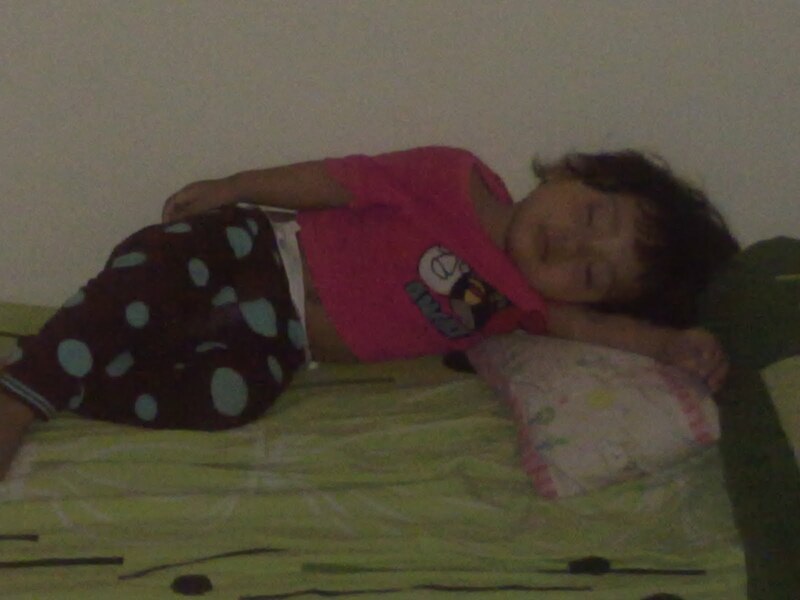 She grew up a little too fast for me, and believe you me in another day or two she would prefer the pillow and boys than Mommy. *Sob sob*. Ah well, tu kira liku- liku kehidupan la, kan? It has been almost a year. She will be 1 next Friday. Dah berjalan dengan pantas, boleh berlari, dah boleh pujuk bila nak makan ubat. She prefers food from Mommy's plate than one on hers. She prefers walking than her little pram, prefers to be held or let loose than her safety car seat. Sigh. This is my soon- to- be 1 year old who brought joyful tears to my eyes. She's who had made me put everything else behind. She's the reason I come home to. She's the reason I work. She is why I live. Oh Mommy's little one. I seriously can't believe how much you've grown. Orang ramai cakap, jaga anak perempuan tak selasak menjaga anak lelaki. Hehehe you can try looking after Amani for 1 hour and see if you can take up the challenge. The above is understatement. See, tido pon lasak? Anak saya panjat sofa, panjat tangga, panjat pagar, berlari keliling rumah dan shopping malls, stand up on her highchair without fear. My little girl woos strangers, smiles at you if she likes you, she can pretend like you don't exist if she decided that she's not in a good mood. She eats well, and want everything other people are having. She seems super-independent and carefree but wait until its dark. She cannot stand losing Mommy for a mere second. She now knows how to put things back into place, she will give you the stuff in her hands if you ask nicely. But but but... kalau dia mengutip dan kau mintak, memang tak dapat derrr. Dia sorok kat celah mana tah dalam mulut dia? She also mocks everything you do, oh, and the toys I bought her a long time ago - now you can see she appreciates them. Mommy had been bad when she can't stand Amani's tantrum. 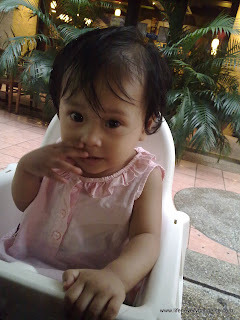 Mommy called her 'degil', 'nakal', 'lasak'... When Mommy should've called her 'anak yang baik, yang dengar cakap, yang solehah, yang bijak dan yang pandai...'. This is Amanah dari Allah buat saya, how could I have called her things. I swear from these day onwards I will not say 'Anak saya kuat melalak, kuat menangis, mengada- ngada'. I am going to say, 'oh anak saya seorang yang bijak, dia pandai manipulate saya bila nakkan sesuatu.' Doesn't that shows her brain works?